Editor’s note: In 2009, Catavino contributor Andrea Smith dove into the origins, popularity and over-fishing of cod fish or “Bacalhau” in my native Portuguese. Today, I pick up where Andrea left off with a greater focus on how to prepare the dry, salted version of this flavorful fish, featuring four dishes and a few wines to pair it with. Often referred to as “Rei dos Mares” (King of the Seas), dry, salted cod is quite popular in Mediterranean countries, like Italy and Spain, and especially in Portugal where they boast 1,000 cod fish recipes. Bacalhau or “Fiel Amigo” as the Portuguese nicknamed it meaning faithful friend, picked up in Portugal during the Age of Discovery when navigators took the unrefrigerated salt-preserved fish on their long voyages, leaving traces of it with cultures throughout the world. In Portugal, its numerous recipes range from simply boiling the fish and garnishing it with garlic and olive oil (the traditional Portuguese Christmas Eve meal) to a casserole that takes hours to prepare. Like most kids, I knew growing up, the boiled version was not my favorite, though I appreciate it a lot more as an adult. But the casserole perfectly concocted by my Aunt Lucinda in her kitchen in Portugal and until this day in America to where our families eventually emigrated to, has become a staple dish in my own kitchen. But before you start picking out your own favorite cod dishes, it’s important to understand some of the prep work involved. Once you find a place to get your dry, salted cod, the fish pieces need to be soaked in cold water for a couple of days to the point that they’re left with just the right amount of saltiness (more on that coming up). Where to find the fish? Try any of the Seabra Supermarkets scattered throughout the U.S., or your local Portuguese supermarket or go online to sites like Alyssa Foods. There’s always the option of buying fresh cod fillets, salting and drying them yourself, but I’m not sure I would go that route since what you get from the professionals is more than fillets. You get a whole fish (sans head) preserved in such a way that it’s much more palatable. Once you pick your fish at the market, it’s time to have it cut in to portions. Consult with your fishmonger for suggestions. I generally ask to have my portions cut in to about three- or four-inch wide rectangular pieces. Make sure your fishmonger packs up the other parts of the fish that can’t be neatly cut in to portions for use in dishes, such as the casserole, which requires shredding the cod pieces anyway. Once home, run the cod pieces through cold water and submerge them in a deep and wide basin filled with cold water. Cover with foil and place the basin in the refrigerator or in a cool area of the house. Change the water once a day for three days. It’s best to separate the thicker pieces from the thinner ones into two basins, since the thin pieces may only require two days of soaking. On the third day, tear a small piece of flesh from the center of one of the thick pieces and taste for desired salt flavor. If it’s to your liking, dump the water, and either freeze the pieces for use at a later date or that day, depending on your needs. And yes that funky fish smell is normal and mostly fades when the cod is cooked. Tip: since I cook for two, I separate the portions by two and freeze them in individual bags for when I need to cook them. The other part of the puzzle is finding the right wine to pair with this flavorful fish. White wine might come to mind first, but I generally prefer a red Portuguese wine. When I recently made the delectable cod fish casserole, properly called “Bacalhau a Gomes de Sa,” I popped open two bottles of red and one white. As is generally the case for me, the reds beat out the white. 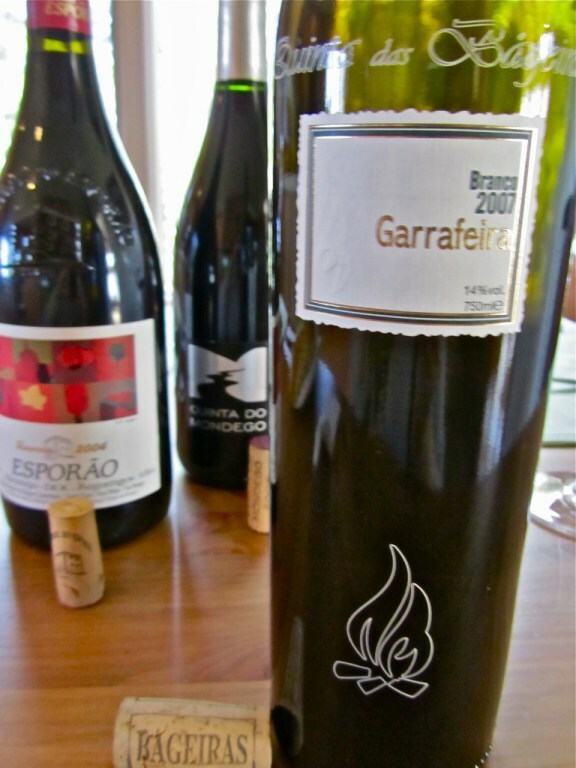 The first bottle was a Reserva 2004 Esporao from the Reguengos southern Alentejo region of the country. It is a blend of Trincadeira, Aragonez (or Tinta Roriz in the Douro northern region of Portugal or Tempranillo in Spain), Cabernet Sauvignon and Alicante Bouschet. The presence of the herby Trincadeira made the difference for me as it always does when I look for a red to pair with cod. Its earthy notes are smoothed by the fruiter and elegant Aragonez and complemented by the bright tannins, body, and smokiness of the Cabernet Sauvignon refined from the seven years in the bottle. Used mostly for blending, the French origin Alicante Bouschet’s influence was undetected in the tasting notes but was likely used to deepen the wine’s color and contribute to its tannins, two of the reasons it’s widely used in Alentejo. But the fruity Aragonez and the herby Trincadeira, are what I look for in reds for cod pairings. Trincadeira especially, offers well-balanced alcohol preferred when pairing with the salty cod that can clash with high alcohol and negatively change the wine. Trincadeira also contains the good acidity that fish lovers normally seek out in white wines to pair with their seafood. When done well, Trincadeira offers hints of raspberry pleasantly contrasted by herby notes, pepper and spice. Poorly done Trincadeira wines are too herby and rustic and lack sweetness. Our next red was the 2006 Quinta do Mondego from the northern Dao region with an all-Portuguese blend of 40% Touriga Nacional, 30% Tinta Roriz, 20% Jaen (Mencia in Spain) and 10% Alfrocheiro. This particular wine came in second in our Bacalhau and wine pairing simply because it tasted overly fruity and ripe with the fish. Though a lovely wine overall, showing good acidity and great body, the pairing was less than anticipated. However, if paired with a meat dish such as Carne de Porco Alentejana, this might go beautifully. The third choice was the two-varietal 2007 Quinta das Bagueiras from the north-central Bairrada region of the country with Maria Gomes (a.k.a. Fernao Pires) and Bical. Though I would have paired this wine with a light dish such as Punheta de Bacalhau, an uncooked shredded cod salad (see recipes that follow), I don’t feel it went well with the more robust dishes. The floral and zesty notes of the Maria Gomes was apparent in this wine, as was the mature peach flavors from the Bical, but the wine overall lacked sufficient acidity to pair with the cod. In the white category, the best choice might have been a Vinho Verde, offering slightly higher acidity and made from a variety of grapes that range from the floral Loureiro to the mineral and fragrant Alvarinho (Albarino in Spain). Note: All three wines were found at LBV Cellars in Newark, NJ. To get you started on your own cod fish voyage, here are four recipes that range from Easiest to Complex. Preparation: Peel and boil the potatoes. Do the same with the eggs and set aside when done. Boil the cod and set aside (see first recipe for boiling instructions). 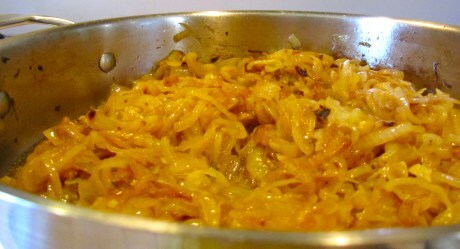 In the meantime start to caramelize the onions in a deep skillet with a 1/2 cup of olive oil and 2 table spoons of vinegar. Add one tea spoon of dry oregano and chili flakes, some pepper and white wine. While the onions brown, shred the cod in to big pieces, discarding the skin and as many bones as possible. Set aside. Preheat the oven to 475 degrees (or depending on your oven). In an earthenware tray, cover the base with olive oil and start layering the dish. Start with a layer of thinly sliced potatoes, cod fish shreds, onions and slices of eggs. Repeat two more times or until there are ingredients available. 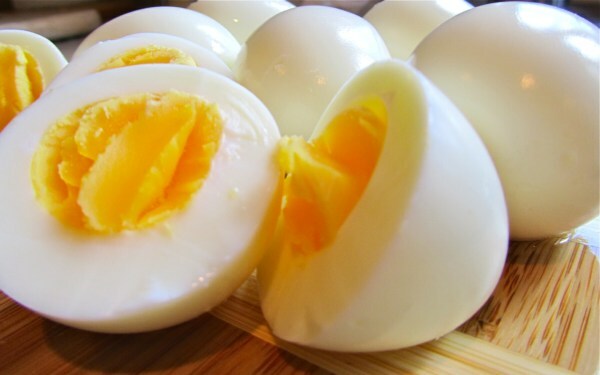 In a small bowl, beat two egg yolks to create an egg wash to brush over the top of the casserole. Drizzle a generous amount of olive oil over the dish and put in the oven for 35-40 minutes. After 15 minutes, lower the oven to about 375 degrees or so, when the eggs start to look toasty on the edges remove. Top with the parsley, more black pepper and the olives. Serves: 4 Takes: about 45 minutes to prepare and 40 minutes to roast.